WASHINGTON -- Renowned violinist Roman Totenberg left his beloved Stradivarius in his office while greeting well-wishers after a concert in 1980. When he returned, it was gone. Its case was later found in the basement of the Longy School of Music in Cambridge, Massachusetts, where he taught. But Totenberg, who died three years ago at age 101, never saw the instrument again. Totenberg thought he knew who stole the violin, but there was never enough evidence to pursue a suspect. The trail went cold until this June, when his eldest daughter, Nina Totenberg, got a phone call from an FBI agent. "I really could hardly believe it at the time," Nina Totenberg, the legal affairs correspondent for NPR, told The Associated Press in an interview Wednesday. "I said, 'I have to call my sisters. I'll tell them not to get their hopes up,' but he said, 'You don't have to do that. This is the violin.'" Authorities were set to announce details of the recovery Thursday at the U.S. attorney's office in Manhattan. 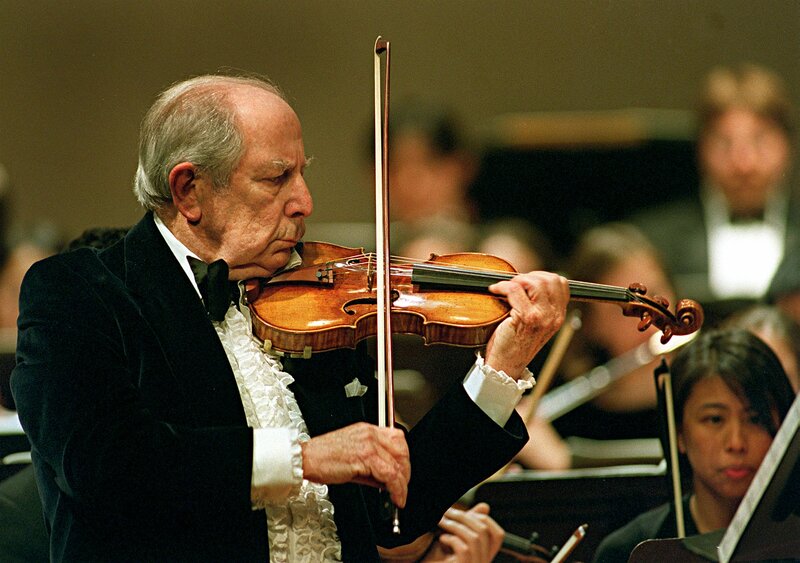 Johnson's obituary described him as "a noted violinist of 40 years" but did not detail where or for whom he played. Totenberg said he was an aspiring violinist seen around her father's office at the time of the theft. Totenberg said that, lacking evidence, police weren't able to obtain a warrant to search for the Stradivarius. "There was nothing to be done, and eventually he just moved on and bought another violin and lived the rest of his life," she said. A child prodigy in his native Poland, Roman Totenberg bought the Stradivarius in 1943 for $15,000 - more than $200,000 in today's dollars - and it was the only instrument he performed with until it was stolen. He kept performing into his 90s and taught at Boston University until he died. "This loss for my father was, as he said when it happened, it was like losing an arm," said daughter Jill Totenberg, a public relations executive in New York. "To have it come back, three years after he died, to us, it's like having him come alive again." The story of its theft and recovery is not uncommon for Stradivarius instruments, which are virtually impossible to sell on the black market, said David Schoenbaum, a retired history professor and violin expert who wrote a book called "The Violin." "The things are very valuable, they're very portable and they are appealing, tempting to steal, and there are famous cases of violins that were stolen and remained stolen for many years," Schoenbaum said. "It's terribly hard to get rid of one. The whole world is on your tail, and if you go to a pawn shop, you'll get $35. You'd have to take it to a dealer, and the dealer would immediately call the cops." Another famous Stradivarius, the Gibson, was stolen in 1936, and the thief, a journeyman violinist, confessed on his deathbed in 1985. It's now owned by violinist Joshua Bell. A Stradivarius violin belonging to Erika Morini was stolen from her apartment in 1995 by someone who had a key to the locked bedroom closet where she kept it. Morini wasn't told about the theft before she died weeks later. The instrument has never been found. The Ames Stradivarius had wear-and-tear that indicated it hadn't been professionally maintained, but it was in pretty good shape overall, suggesting it hadn't been played much, Nina Totenberg said. Prosecutors don't plan to charge anyone in connection with the theft, Totenberg said, and the violin will be returned to the family. They plan to sell it, but not to a collector, she said. "I'm just glad that the violin, once it's restored to its full potential again, will eventually be in the hands of another great artist," she said, "and its gorgeous voice will be heard in concert halls around the country." Last year, a rare multi-million dollar Stradivarius stolen from a concertmaster was recovered in Milwaukee.